Quick Overview: Cork rubber sheet is made by using granulated cork and synthetic rubber polymer and their assistants. The cork mixed material such as neoprene and nitrile, silicone, vitone, etc. Please contact with us to help you with your cork rubber sheet needs. 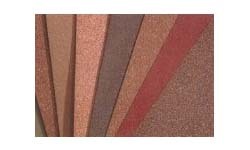 Cork rubber sheet the compressibility of cork with the flexibility characteristics of rubber to make an excellent sealing material. All are available in rolls cut to your specifications for thickness and width. * Make for gaskets of various engines of automobiles, tractors, plans, ships, and pipes petroleum, transformers, electric equipment,etc.